One of the things that I love being your Just a Small-Town Girl is the local family run business’s. Not only are we supporting our local community, but they are investing in our families and future. There are many businesses that my grandparents took me to when I was little and now have the opportunity to take my family to experience what I did when I was little. My grandma was one of the many business owners that started local businesses in Rexburg. She and another person started the Westwood theatre around 1972. They would preview the movies before they would showcase them. One of my favorite memories that I was told is when her and her friend was previewing “American Beauty” and if any of you have seen the beginning of that movie with Kevin Spacey You can just Imagine what my grandma’s reaction was like!!!! She then knew that even a title like “American Beauty” she still had to preview them. Today the movie theater still stands, but has been since then changed hands in ownership and has become the romance theater. Also I found out to that the best restaurants are the little hole in the wall places in small towns. Our small town isn’t caught up in glitz and glam of things but know what’s most important the value and consistency of the menu and also the service. Growing up in East Idaho and and then venturing out to the big City Had its differences for sure. I’ve learned no matter where you live it’s your whole perspective on how you live where you live. I used to say there’s nothing to do here in the small town but little did I know all I had to do was expand and look past of the mindset of “small town.” There is so much to do and to explore if you’re just willing to go seek it. Everyone has that spot the go to place where your grandparents took you growing up. That spot where you can’t wait to when you have your family you can take your own children too. One of my spots recently decide to close it’s doors. I was thankful though to be able take my family and sharing the memories I had when I was little. It was a little hole in the wall and Saint Anthony Idaho named Chizs. It was a U-shaped bar that Sat literally maybe 17 people the hours were different closed on Mondays and only open during lunch and dinner. When you walked in the door there was usually a line of people around the bar sitting as well as people behind the people sitting. Everyone knew that you waited behind a bar stool for your turn to sit. The people eating knew they ate and left so the next people could come in. It seems like when you set up to the bar you know at least one or two friendly faces that also graced that place often. It always greet you with a smile and offer you a drink of choice. I would always go for the shrimp dinner which included for our trips some french fries some Texas toast and a salad. I’m not a big salad person but for some reason their lettuce was always so crisp and to top it off they had their famous jazz is ranch dressing that you could eat by spoonfuls. The one thing about this restaurant was it it was always consistent no matter what. They would take their shrimp and butterfly them with another so there be to trim dipped in batter that almost tasted so good like chicken. The cocktail sauce that went along with it was always a perfect taste to add to those shrimp my grandma and grandpa will take us up there all the time. I have another favorite spot that my children are able to enjoy. When I was in junior high we would walk home from school and the first place would stop was Millhollow. Millhollow was down a little street along with a bunch of other stores. No hollow served frozen yogurt and some frozen treats. When you came in from the Street there was a little wishing well water feature of a log cabin ended turning WinMail. If we had pennies on us we would for sure always throw them in and our wish would we that we could get all you can eat yogurt all the time. It was a mom and pop kind of store ran and One locally. We love the prices and what you got in return. As I grew up through school that was still our favorite spot with tart black cherry as one of our favorites. My friends and I would get one at largest yogurts and converse about her day at school on our walk home. As we got into high school Millhollow grew and opened up their own building. Expanded with sandwiches another different frozen treats. We became a lover of the sandwich there with her sourdough bread. Over time Kiwi Loco and Orange leaf came about but none of them could hold a candle to Millhollow. Don’t give me wrong I’ve been to Kiwi Loco also Orange leaf and support of the local community but hands-down Millhollow is our favorite in our family. My girls and I frequent the place for sandwiches and yogurt at all times sometimes we will venture out around 1030 to get one of our favorite treats there the whirlwind. The general close around 11 o’clock so we knew how to time that to make our drive. I love being able to share this with my family because it was a part of me when I was growing up and I hope that this place will be able to stay in business so that my daughters can someday sure that this with their family. 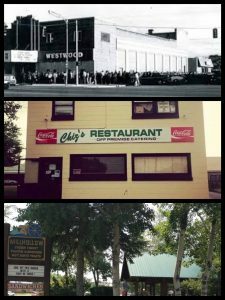 There is a lot of small town restaurants here locally that I’m sure everyone has memories of and some probably hold dear to their heart with memories such as mine.